Studio portrait of Lt Col WEH Cass, CMG. Photo from AWM, copyright expired. 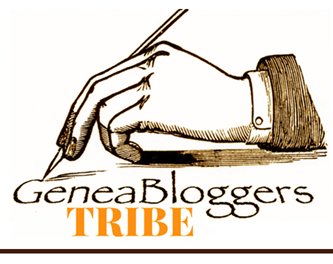 Dedicated geneabloggers know the joys that can come from making contact with family members through our stories. Recently I wrote about F is for Fromelles and Fleurbaix and last year the Battle of Fromelles: In Memoriam L/Cpl James Gavin KIA. In these stories I mention my husband’s great-uncle, then Lt Col WEH Cass, though the focus of my story was on my grandfather’s cousin, James Gavin. Thanks to these posts I received comments on the blog from two of my husband’s relatives and we are now also in touch with WEH Cass’s grand-daughter. I’ve always been intrigued by WEH (as I call him), initially because he was a key player at Fromelles but over the years I’ve learned much more about him. Originally WEH was a teacher but he served in the Boer War and then took a commission with the regular Army. He spent some time on secondment in India during which he played a role (not yet clear) in the Delhi Durbar to celebrate the coronation of King George V. Once again YouTube provides enlightening videos here in black and white and here in colour with sound. WEH was part of the mobilisation of Australia’s troops at the commencement of World War I. He took part of the Gallipoli campaign and was shot twice, then evacuated to hospital in Alexandria. While he was recuperating his mother died at home in Albury. 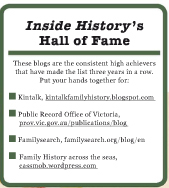 At the 2003 Australasian Genealogical Congress in Melbourne, the keynote speakers on Anzac Day were Roger Kershaw and Stella Colwell from The National Archives in London. Imagine my astonishment when early in their presentation they referred to two items from their repository: a haversack and notebook belonging to a Major Cass which had been found after the Gallipoli battles. In that era of early digitisation, they didn’t know what had happened to him and assumed he’d been killed. We met up during the morning tea break and I was able to fill them in a little with his story and assure them that not only was he not killed, he’d gone on to achieve the rank of Brigadier. (Correction -I’ve just had advice from The National Archives that they don’t have the haversack. I’ve obviously mis-remembered this from the 2003 talk. My mistake, sorry). After Gallipoli, WEH found himself on the Western Front, steadily gaining rank and recognition for his performance in the field. He was mentioned in despatches and awarded the Companion of the Order of St Michael and St George (CMG). WEH was well regarded not just by his fellow officers but also by the men who served under him. 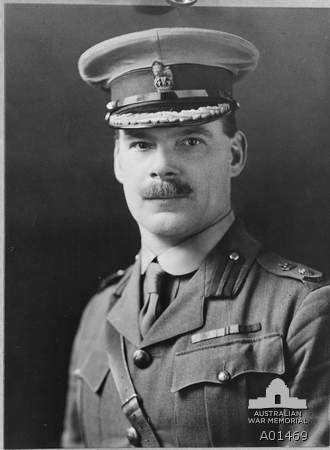 Perhaps this is why the carnage of Fromelles was so devastating to him: the loss of so many of his men, through what he regarded as incompetence, was something he found difficult to deal with. Throughout these war years WEH maintained a steady correspondence with a nurse he’d met (precisely where is uncertain), Helena Holmes, from Nova Scotia. He married her after Fromelles in London in 1916. He was repatriated to Australia in early 1917 suffering from debility. On his return to Australia he remained with the Army serving in increasingly senior roles. There is so much more I could tell you about this intriguing man but I’ll let the The Australian Dictionary of Biography provides a summary of his life story. He’s rather a researcher’s dream: there are lots of documents relating to his service at our National Archives, the ones above at TNA, photos on the AWM page and personal papers etc held by his family. Brigadier WEH Cass died suddenly aged only 55. He was buried with full military honours in Melbourne General Cemetery. 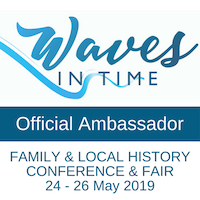 Thanks to the family connections we’ve made through the blog, we have learned that Melbourne is currently hosting a wonderful exhibition of memorabilia relating to Walter Edmund Cass and his wife Helena including some of their letters as well as photos he took himself at Gallipoli. We’re going to make the trek from Darwin on a flying visit to see the exhibition and meet new family members. As a bonus we’ll be able to see the upcoming Kokoda exhibition as well. Bonus! It sounds like it would be well worth a visit to Melbourne’s Shrine of Remembrance to see the Exhibition, especially for those in easy driving distance. So if you’re in Melbourne with nothing planned for the weekend, why not go and check out the exhibition.